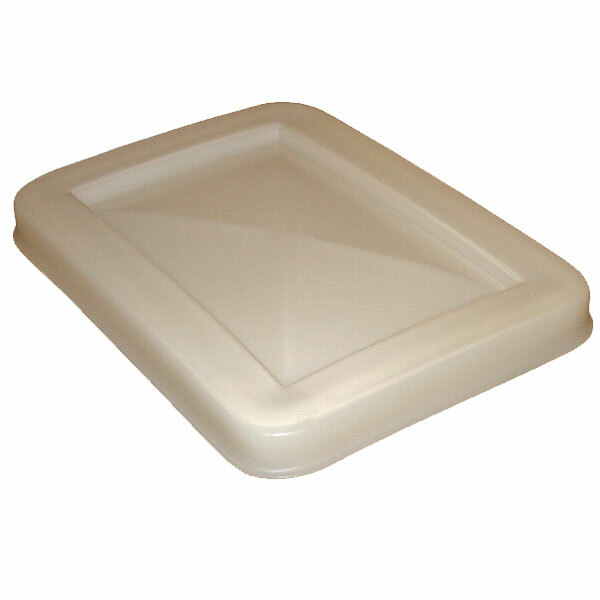 The FTE Series FTE-6L Lid for Six-Bushel Elevated Floor Truck is a rugged, high-quality lid for an elevated floor truck. Heavy duty, long lasting, smooth walled, one-piece polyethylene molded parts. USDA / FDA compliant resins and pigments, 100% recyclable. Easy to clean and handle. Ideal for food production, commercial applications, laundry, order fulfillment, warehouse and distribution centers, transport and storage needs. Six-bushel lid model. Outer Dimensions (OD) (LxWxH) 32.5 x 23.75 x 2"
Dolly ships in black; lid (if ordered), will match tote color.